Next to Halloween, Thanksgiving is my favorite holiday. It’s all about the food. The food! We have this family recipe for dressing also known as stuffing that is the best I have ever tasted. 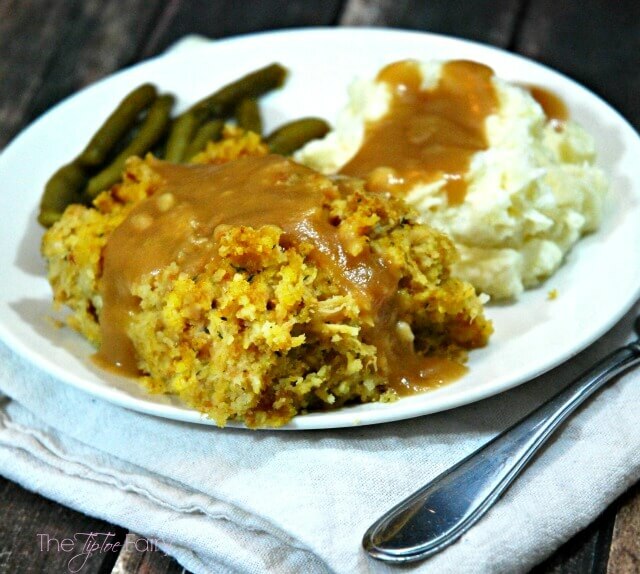 This Chicken and Stuffing Casserole is the best comfort food on a holiday or a cold night. I could probably eat it turkey and dressing every day and be happy. However, the work it takes to roast a turkey and make a pan of dressing is way too much for my weeknight dinners. 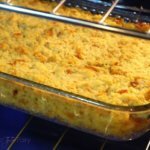 So, I’ve made a rather hybrid version that includes shredded chicken, cornbread mix, and stuffing mix for an easy weeknight casserole. It’s definitely a family favorite. 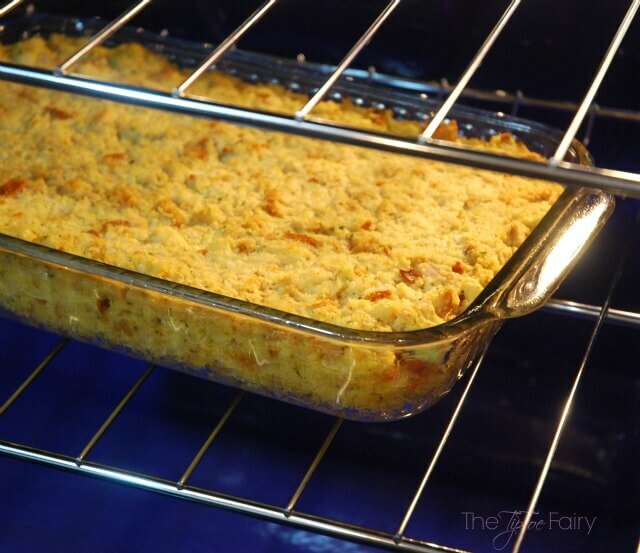 I use two boxes or packages of cornbread mix and make a batch ahead of time. You can do this a day or two before, or the morning. Sometimes I do wait until the last minute and make it right before I make the casserole. Then, I have to tear up the cornbread when it’s super hot, and that’s not fun. When I make it up ahead of time, it has plenty of time to cool. This is how we start the Chicken and Stuffing Casserole. For the chicken, you can do it a few ways. You can use canned chicken, which is what I often do. I rinse it and smash it until it’s nicely shredded. You can also use leftover rotisserie chicken from another meal that you’ve shredded. Or you could also make 2-3 chicken breasts up ahead of time and shred them. Then, in a big bowl I combine the crumbled up cornbread, 1 package of stuffing mix (like Stovetop, you can use any flavor), 2 cans of chunk chicken, a 32 oz box of chicken broth, 1 teaspoon of sage, and 1 stick of butter. You’ll mix it all up, and it will look very runny or soupy. But trust me, this casserole comes out amazing. I cook it for 405 minutes. Then let it sit for a couple minutes before serving. I serve it with turkey or chicken gravy. Love Thanksgiving dinner? 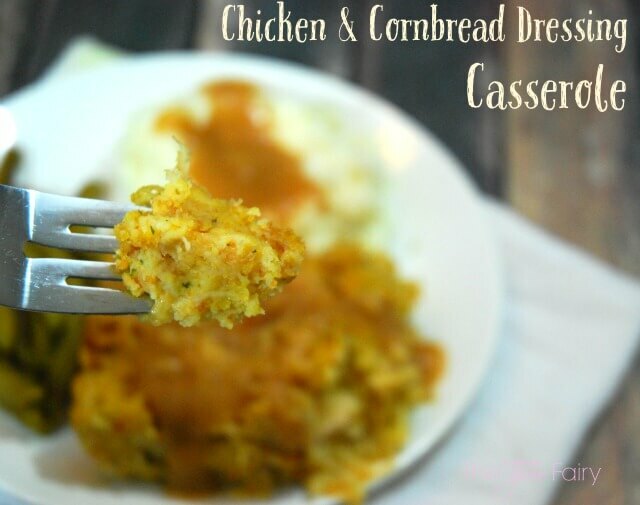 Then, try this delicious Chicken and Stuffing Casserole that will bring back those holiday memories. 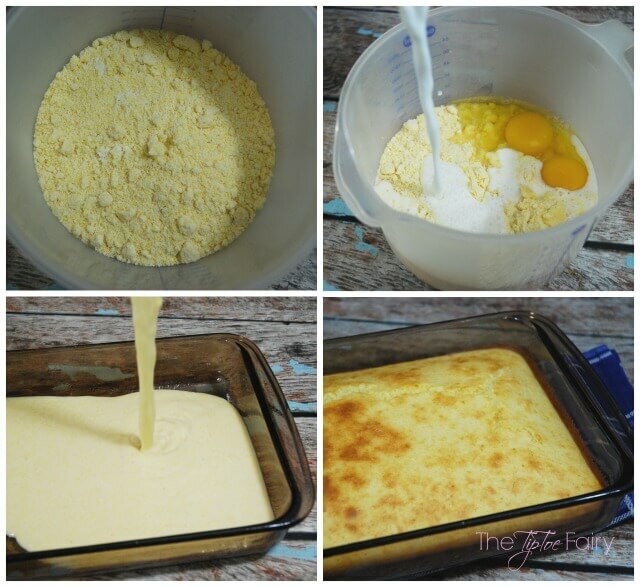 Combine both cornbread baking mixes with eggs and milk, and follow the package directions for baking. After cornbread is done, allow to cool. Preheat oven to 350 and spray a 13 x 9 inch pan with nonstick spray. Tear up the cornbread into little pieces and pour into a large bowl. Mix in a package of stuffing mix. Add 32 oz of chicken broth and mix thoroughly. Drain both cans of chicken, rinse and shred. Add the chicken and the melted butter. Mix thoroughly. 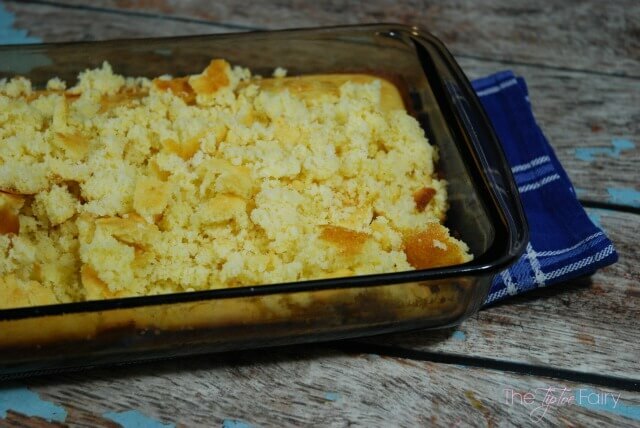 Pour into a 13 x 9 casserole dish and bake for 35 minutes. 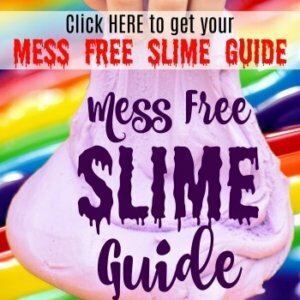 You can use any flavor of stuffing mixture. I prefer Cornbread or Turkey.